France in London | Diet Fizzy Drinks Increase the Risk of Diabetes. 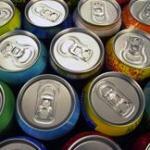 Diet Fizzy Drinks Increase the Risk of Diabetes. Diabetes, obesity, cardio-vascular illnesses: the dangers of sugary drinks are all too well known. But nobody suspected that diet fizzy drinks were also bad for your health. Not only do they increase the risks of type 2 diabetes, but this risk is higher than for non-diet sugary drinks. Diet fizzy drinks contain artificial sweeteners instead of sugar, and have been associated with a number of benefits: they have even been prescribed to diabetics to help them regulate their sugar level and most consumers choose this kind of drinks to maintain a low-sugar diet. But it seems that in reality it does just the opposite. François Clavel-Chapelon, research director at l’Inserm and Guy Fagherazzi, epidemiologist, carried out a research on 66 188 women and followed their health for 14 years (from 1993 to 2007) to identify the link between diabetes and diet fizzy drinks. The article was then published in the American Journal of Clinical Nutrition. At the beginning of the experience, these women were all healthy, just like the rest of the population, but soon things started changing. First of all, the scientists found that women who consumed diet fizzy drinks tend to double their consumption. Women who drank diet fizzy drinks had 2.8 glasses per week whilst women who drank sugary drinks had just 1.6 glasses per week. To explain this increase, the researchers believe that women who drink light sodas “perceive these drinks as being healthy, and do not expect any effect on their weight”. When 0.5L of diet fizzy drink is consumed by one individual per week the risk is 15% higher than for someone consumes normal sugary drinks. However when 1.5L is consumed per week the risk of becoming diabetic is 59% higher than with normal sugary fizzy drinks. In addition, when women consume the same amount of sugary and diet fizzy drinks, the risks of becoming diabetic is higher with diet fizzy drinks than with normal sugary drinks. Consuming sugary fizzy drinks increases the risk of becoming diabetic by 1.5 times when compared to people that do not have sodas at all but the risk increases to 2.3 with diet fizzy drinks. Type 2 diabetes is an illness characterised by a chronicle hyperglycaemia, which means one has a higher amount of sugar in the blood. This illness mainly affects people that are overweight and this risk also increases with age. Insulin regulates the amount of sugar in the blood, allowing sugar to enter the cells. For diabetic people, insulin is no longer able to regulate that amount of sugar, and can provoke overweight and cardio-vascular problems. Scientists demonstrated that light drinks do not satiate hunger, so the amount of calories in the drinks are added to the rest of the total calories consumed in one day but do not stop you from eating more. This increases the amount of sugar in the blood, which provokes repeated insulin peaks. This can start an insulin-resistance and can lead to diabetes. With diet fizzy drinks the artificial sweetener increases the amount of glucose in the blood. Scientists believe that women who drink a lot of diet drinks have a tendency to eating more sugar. Nevertheless, the researchers consider that “these hypotheses still have to be confirmed by complementary studies”. On the other side, the president of the International Association for artificial sweeteners, Hugues Pitre, said, in a press communiqué that “this research, like all the ones that tackle diabetes problems, is interesting, but this study should be analysed with caution. As industrials, we are very aware of the new scientific data on the matter, but we are nevertheless surprised by the conclusions of this study, which goes against other studies on artificial sweeteners and their benefits”. Researchers think that this study is a first step towards a better understanding of the the side effects of artificial sweeteners. Nearly eight out of the diabetics in France (they were 3 millions in 2012) declare that they consume artificial sweeteners, which means that it is critical to find out as a matter of urgency how bad artificial sweetners really are. We should go back to a simple word of wisdom: "everything in moderation" and if possible stick to natural products. Choose mineral water and fresh juices, lowering your risks of diabetes.